Deepak is a huge asset to any organization that has the privilege to work with him. He is skilled at..
Deepak is not opposed to rolling up his sleeves to grind through a project management plan. Deepak..
A true expert in change management.Deepak and I have worked together on a number of projects. He's.. I was truly impressed with Deepak's ability to understand our needs so quickly. I had the pleasure.. Experience. Knowledge. Perspective. When I'm struggling with a client issue, I know I can go to..
Change management and business transformation professional for 15 years. Specializing in planning and managing change for strategy and transformation programs to include technology implementation, business process redesign, M&A integration, operating model / organization design, and outsourcing / shared services. Key experience includes working as a management consultant at Accenture as part of their Talent & Organization Performance practice, supporting the creation of the People & Organizational Change practice at Carlisle & Gallagher Consulting Group, (Top 10 Best Places to Work for in 2013 by Consulting Magazine), and working in the Change Enablement practice at Appirio, (Top 50 Start-Ups of 2012 by the Wall Street Journal). Also worked as an internal consultant and manager at Fortune 500 companies to include National Grid and Anthem (WellPoint - Empire BlueCross BlueShield). Graduated with a Masters degree from Columbia University. Taught Management at New York University (NYU). Experience. Knowledge. Perspective. When I'm struggling with a client issue, I know I can go to Deepak and get keen insight, as well as practical advice. Deepak is an expert in transforming businesses. From our many conversations on building businesses - and also the Fireside Chats he hosts - I've found he's one of the few people who understand both the internal and external implications of change and transformation initiatives. If you're struggling with planning or managing a change in your organization, Deepak is your man. I was truly impressed with Deepak's ability to understand our needs so quickly. I had the pleasure of working with and mentoring Deepak for almost two years at National Grid. He was responsible for many of the organization design and change initiatives during my time there. I remember having one (and only one) conversation about better promoting the Inclusion & Diversity (I&D) initiatives there. The next day he came in with a presentation that called out the strengths and challenges of our programs, and how we can better drive our I&D initiatives by providing an approach to socialize our Employer of Choice programs more effectively. I was truly impressed with Deepak's ability to understand our needs so quickly, and come up with a plan to mitigate these challenges. A true expert in change management.Deepak and I have worked together on a number of projects. He's an exceptional professional that I find to be trustworthy, responsible, and accountable. Deepak's knowledge and experience enables him to consistently create and deliver high-quality results in a predictable way. Deepak also thrives in a constantly evolving business environment, and will help your organization create a competitive advantage by adapting to change due to new technology. Deepak is not opposed to rolling up his sleeves to grind through a project management plan. 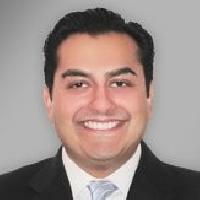 Deepak consistently demonstrated a strong work ethic, a drive to meet deadlines, an ease with and effectiveness in his communication, and a dedication to project success. Deepak is an intelligent colleague who is open minded to listening to new ideas and quickly grasps complex concepts. He is skilled at distilling information to only what is most pertinent and is capable at presenting to a wide variety of audiences. Deepak is a huge asset to any organization that has the privilege to work with him. He is skilled at what he does, easy going to work with, and a morale booster for a team. Deepak is a great organizer. He brings careful analysis, thoughtful questions, and the ability to sum up a lot of detail into the most salient and critical issues. He hits the ground running, gets into the project quickly and deeply, making sure that all the pieces are pulled together effectively.